The U.S. administration is set to move forward with duties on another $200 bln of imports. Initially, it deftly avoided consumer goods. The expanded list, though, is more policy sledgehammer than scalpel. The pain will be felt by American households and Chinese exporters alike. U.S. President Donald Trump holds an Oval Office meeting on preparations for hurricane Florence at the White House in Washington, U.S., September 11, 2018. 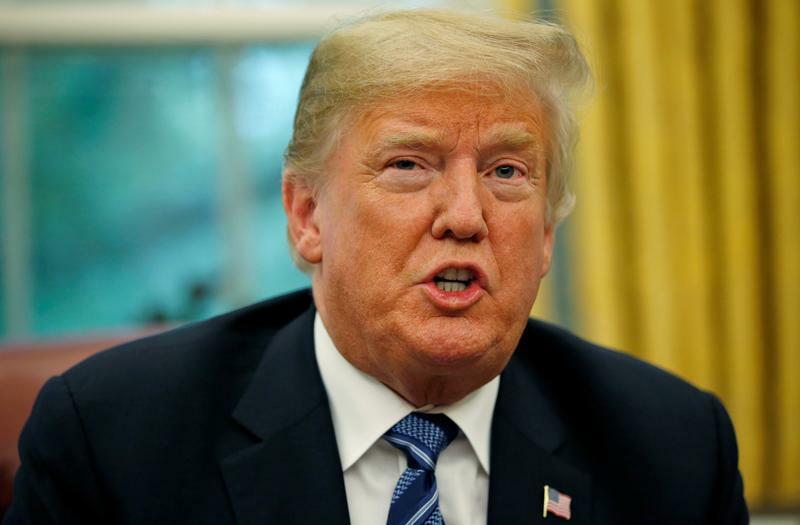 U.S. President Donald Trump is likely to announce additional duties on around $200 billion of Chinese imports as early as Sept. 17, Reuters reported on Sept. 15, citing a senior administration official. It is unclear if the administration will exclude any items from its original list, which was announced in July. Beijing may decline to engaged in upcoming trade talks with U.S. Treasury Secretary Steven Mnuchin if the tariffs go ahead, The Wall Street Journal reported on Sept. 16, citing sources. The proposed talks had been expected to begin around Sept. 20.